Handmade crocheted gray or white bunny hat with long ears and funny muzzle for kids. Learn how to crochet easter bunny hat, animal hat for a girl or a boy, crocheted bunny hat for kids. 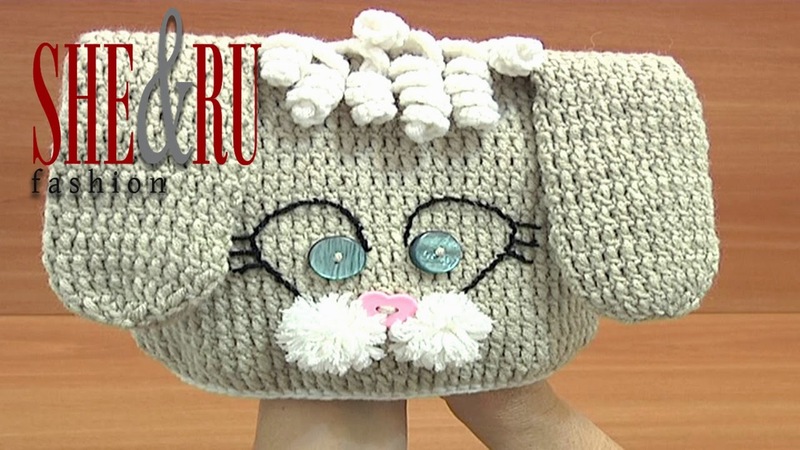 In this tutorial you will get to know how to complete the beautiful bunny hat for your child. We are using two handmade pompoms for bunny`s muzzle and a heart shaped botton for a nose. You would also need two more round bottons for the eyes. Then we work with a tapestry needle to form the eyes and if you decided to make this hat for a girl you can make eyelashes for your bunny and add a beautiful hand made flower to one ear. Your child will look super cute in this animal hat. Thank You for watching and happy crocheting!